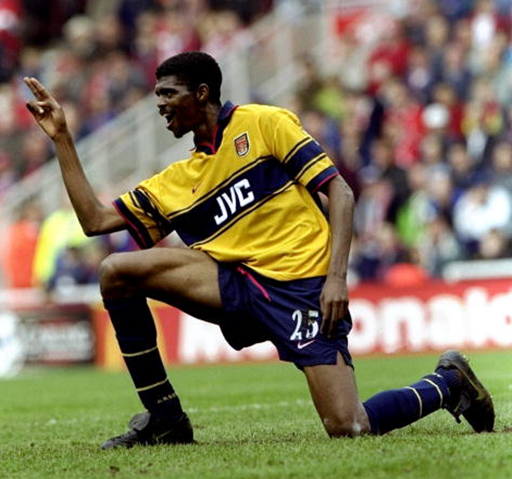 For a man who was clearly pushing senior citizenship, shared the same bodily proportions as Olive Oyl and had a hole in his heart, Nwankwo Kanu was one hell of a footballer. Lithe, lanky, lumbering, fairly unathletic and incredibly slow, nothing about Kanu should have worked – but that touch, oh that glorious touch. The Nigerian striker could waft through thickets of defenders like a ghost, but only for a maximum of 25 minutes at a time! This way for plenty more Random Great Goals on Pies. If you’ve got a bygone wonder goal you’d like to see featured in Random Great Goals, give us a nudge at waatpies@gmail.com and we’ll give it a shufty.